“Music is energy. Music heals.” Ruthie Foster believes in the power of music and hearing her sing will convince you of it too. With a big voice, Foster has been compared to iconic artists like Aretha Franklin and Ella Fitzgerald. Her songs fold blues, jazz, folk, soul and gospel elements into colorful and uplifting performances. 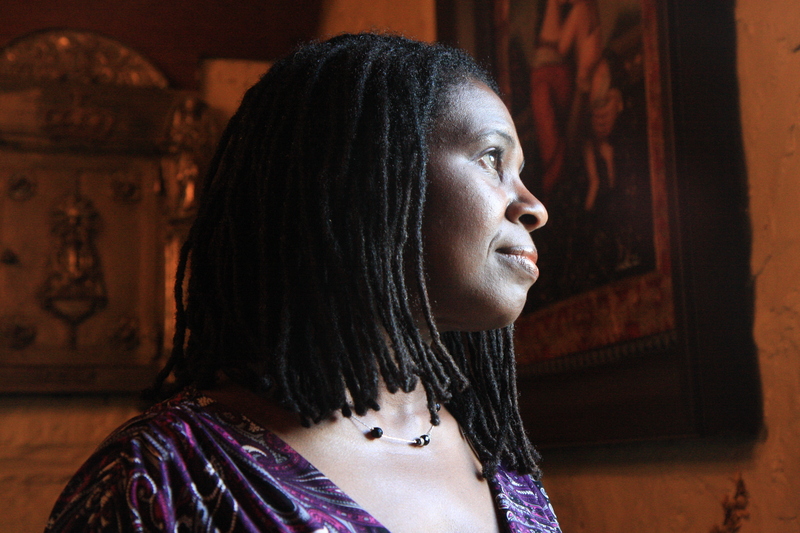 Ruthie Foster, BMA award winner and Grammy nominee is performing during 2012 Eureka Springs Blues Weekend. Growing up surrounded by music Foster was deeply influenced by her mother and grandmother, “They had the most beautiful voices.” Foster was a soloist in her church choir by the early age of 14. Convinced that music would be her future, she left her hometown of Waco, Texas to discover the most important characteristic that all great Blues musicians have in common…life experience. No matter where her travels took her, Foster always found herself singing. From small town bars to the U.S. Navy band Pride to the center of New York City, she would learn the many sides of the music business and continue to build the voice and character that has become her signature. In 1993, she would break from her musical career to care for her ailing mother until her mother’s death three years later. Historically, blues music has captured the suffering, sadness, and difficult trials of rural southern America. Built from African American slave songs, spirituals and country string ballads, the blues have been acknowledging and healing Americans for centuries. The lyric’s in Foster’s song Heal Yourself poignantly counsel listeners with powerful words of wisdom. And it’s time you need somebody. And find your time is gone. Ruthie Foster, is performing during the 2012 Eureka Springs Blues Weekend. Eureka Springs Arkansas is a destination for great music festivals and the annual blues festival brings award winning blues musicians from all over the world. Live blues concerts in amazing venues like the historic Auditorium, the Basin Park Hotel’s famous Barefoot Ballroom and Basin Spring Park. Other 2012 Eureka Springs Blues performers include Marquise Knox, Cate Brothers, Doghouse Daddies, Blues Notions, Steve “Ragtime Red” Jones, Brandon Santini, Tommy Castro Band, Stella Blue, The Super Reverbs, Nathan A, Lazy Lester, Kenny Neal Band, Hadden Sayers and more. See Eureka Springs Blues Weekend concert dates and reserve concert tickets. Book a hotel in eureka and discover the best Eureka springs hotels, restaurants, attractions, spas and shopping. Find fun things to do in Eureka Springs on the Official Eureka Springs Calendar of Events. Follow Official Eureka on Facebook or sign up for our newsletter and be the first to know about Eureka Springs vacation packages and last minute vacation hot deals. This entry was posted on May 10, 2012 by estcblog in Basin Park Hotel, Festivals, Musical Adventures, Things to Do and tagged Arkansas, downtown, Eureka Springs, Eureka Springs Blues Festival, Top 25 Arts Destination.